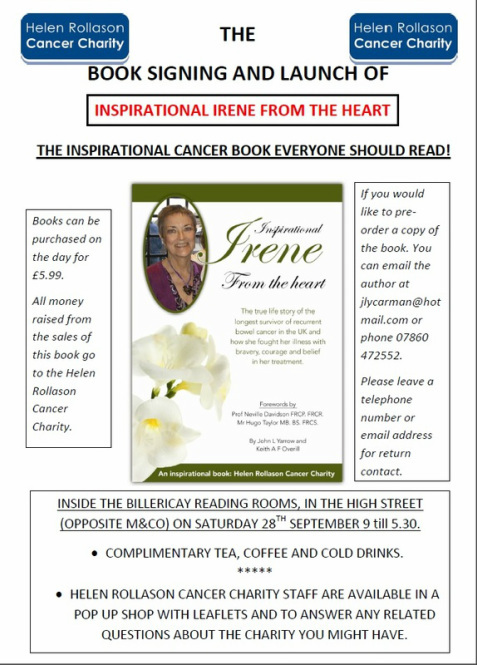 A book based on the website called Inspirational Irene from the Heart has been published and was launched at a book signing event on the 28th September in the Billericay Reading Rooms and nearly sold out of its allocation . Further book signings will be added in the New Year. If you would like to order a copy, then please contact the author at jlycarman@hotmail.com or telephone : 01277 659081 or mobile: 07860 472552. The price of the book will be £5.99 - $9.95 - €6.99 plus P&P. The front cover of the book is below. 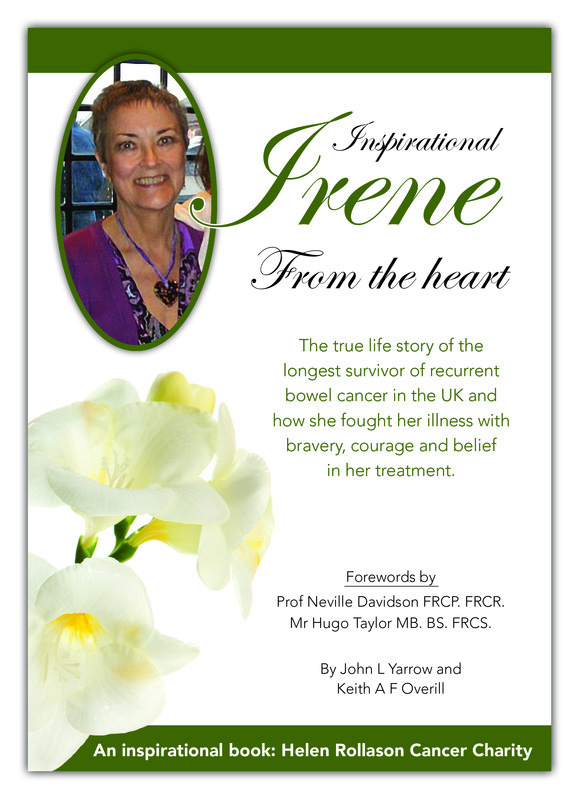 This website is also dedicated to the memory of Marie Dickinson, a dear friend of Irene who unfortunately lost her fight with breast cancer in 2007.